"To improve antibiotics, we need to understand their pharmacologically relevant states directly in the cellular environment", explains Dr. Markus Weingarth. "Now for the first time we have been able to do that, thanks to an advanced NMR approach. We expect our method will be extremely useful for these native structural investigations." To design antibiotics that operate through this mode of action, detailed structural information on these powerful antimicrobials is crucial. However, until now it was not possible to obtain this information under 'real life', relevant physiological conditions, critically limiting the use of Lipid II binding antibiotics as templates for drug design. "This challenging endeavour was only made possible through the combination of high-sensitivity solid-state NMR methods and equipment hosted at Utrecht University's Bijvoet Center", Dr. Eefjan Breukink explains. "The insights we obtained with this powerful approach could establish a model of the long-elusive physiological pore-state of nisin and suggests novel cues to improve on nisin's activity." 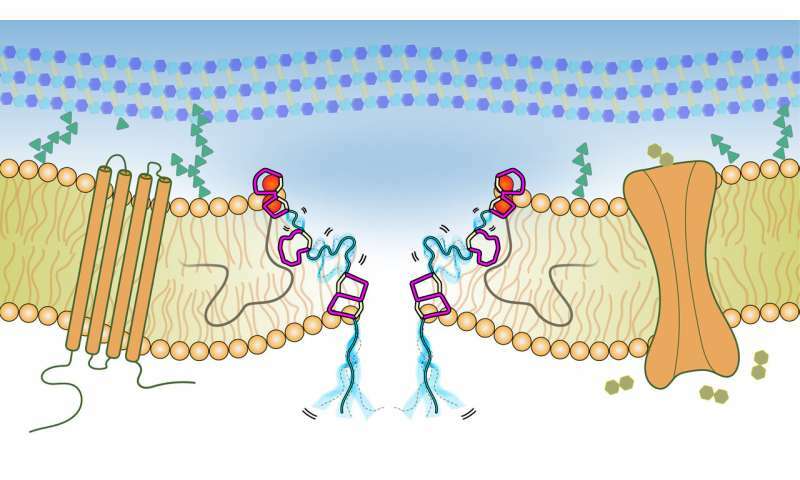 Combined efforts by the groups led by Weingarth and Breukink aim to solve the physiological relevant structures of nisin and several other antibiotics – Lipid II complexes.